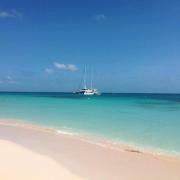 Ocean Spirit Cruises has been sailing the Great Barrier Reef since 1988, specialising in revealing the wonders of Michaelmas Cay. 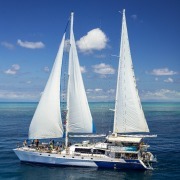 Ocean Spirit Cruises is recognised as the most iconic Great Barrier Reef experience, known for its luxury 32 metre sailing catamaran, and unique permit to Michaelmas Cay - a protected bird sanctuary. 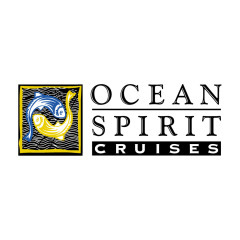 In August 2013, Ocean Spirit Cruises was acquired by the Quicksilver Group, Australia’s pioneering and leading Great Barrier Reef cruise company. Operating within this spectacular World Heritage environment, the Quicksilver Group is committed to sustainable environmental practices and preserving and conserving the health of the Great Barrier Reef for future generations to enjoy.